Have you ever been tempted to buy a property in a great suburb that just happens to be on a main road or next to a busy shop? 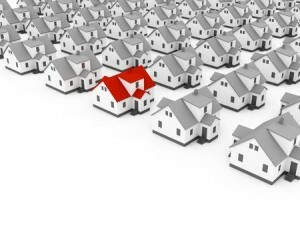 Here we discuss the risks of buying property in what’s termed a ‘secondary location’. You’ve got a strict budget but you want to buy a good property. In the current market, buying right is probably more important to you than ever because you want your investment to be ‘safe’ no matter how the market fares. Many investors find themselves faced with this situation. Knowing the importance of location, they focus their energy on buying into a particular suburb that they feel will give them the security they need. Sometimes, that will mean buying into that suburb at all costs – no matter if the property is compromised in some way by being on a main road, beside a rail line, or surrounded by busy commercial developments. Admittedly, it’s easy to get caught up in the ‘bargain mentality’ as you tend to get more for your dollar in these positions – bigger house, better quality, larger land. You get to have the postcode you want and you may even find the property could attract a better rental yield as rents may change marginally despite the more inferior location. These properties are not cheap for no reason; they’re cheap because they have issues. Price is simply a reflection of what buyers are prepared to pay, and knowing the downsides of this type of property, buyer’s just aren’t willing to pay as much. Firstly, there are the obvious reasons as to why these properties are less desirable. One major factor is noise. No matter how a property tries to disguise it, noise is always an issue. The constant throb of traffic on your doorstep, rowdy pub patrons screaming in the street, and a myriad of people coming and going at all hours to visit the shop next door is a major deterrent and annoyance for the vast majority of people. The traffic congestion is also not to be understated. Trying to leave the property to go to work in the morning could mean sitting for what seems like hours waiting for that rare break in the flow of traffic. Being situated on an arterial thoroughfare also means there is a strong possibility that your surrounds could be developed into high density residential and/or commercial developments (if they haven’t already). Living in the shadow of large apartment complexes and beside all-night fast food outlets is not appealing and will almost certainly de-value your property. Properties in secondary locations tend to suffer from very poor liquidity. As an asset, property is already not the most liquid of assets so if you need to sell, there will be some delay before you are able to release yourself. With properties in secondary locations, unless you are lucky enough to be selling in a boom, it will take you much longer to sell compared to an ordinary property. This will be in part because of the inherent issues of your property which put off buyers, but also because you will be appealing to quite a limited market. Around 70% of buyers are owner-occupiers and while there will be some willing to buy anything just to break into the suburb, the overwhelming majority will not touch a property situated in a secondary location. The flow on effect of a property that’s difficult to sell means the inevitable need to discount even further just to make the sale, and a lot more money needed to market the property. Even though the weekly rent may be strong, properties in these areas usually go through a never-ending stream of tenants. Tenants may be willing to give these properties a go but it’s not long before they’ve had enough and move out. 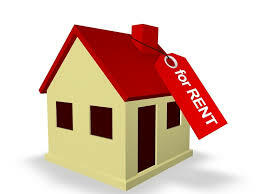 This means increased management fees and more periods where the property sits vacant, costing you money. While I’m sure that there are some people out there who have done well from buying in a secondary location and I’ve done it myself, usually its because they were lucky to have bought and sold at the right time or benefited from rezoning of the area during their ownership. That’s because (and I know I’m going to sound like a broken record now) but success in property often comes down to getting one thing right above all else – location. But location is not just about the suburb. Location is across all levels from the city, to the general area, to the suburb, to the street, and to the individual property itself. Buying a poorly located property in a great suburb does not, in most cases, make a good or ‘safe’ investment.